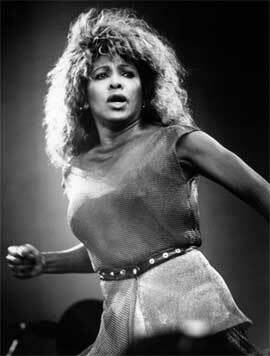 "Be Tender With Me Baby" is a single from Tina Turner's album "Foreign Affair". The song is written by Albert Hammond and Holly Knight. "Be Tender With Me Baby" is a rock ballad about a man (thinking) about leaving a woman with personal issues. The woman asks for tenderness and patience, because she’s afraid that he really leaves her and is confused because she’s going through a tough fase in her life. "Be Tender With Me Baby" is really a strong love rock ballad and can bring people to tears. Tina’s vocals are very strong and soulfull, and you really can hear how the feeling of this song runs through her body and soul. Tina gives it all. Tina performed the song during the Foreign Affair Farewell Tour as well as the Tina! 50th Anniversary Tour and used it as closing number in her concerts during those 2 tours. "Be Tender With Me Baby" was released as in different formats like 7" single, 12" single, cd single and cassette single. For promotion they used a live video that was shot at her UK concert in Woburn Abbey, London. The single was only released in certain European countries. "Be Tender With Me Baby" - Live - 4.03 min.